#CJSReads decided our first Nesbo would be Macbeth! We all have his entire Harry Hole series on hand but when time doesn't allow a binge series read... well, you gotta start somewhere! I'm not a big fan of Shakespeare. 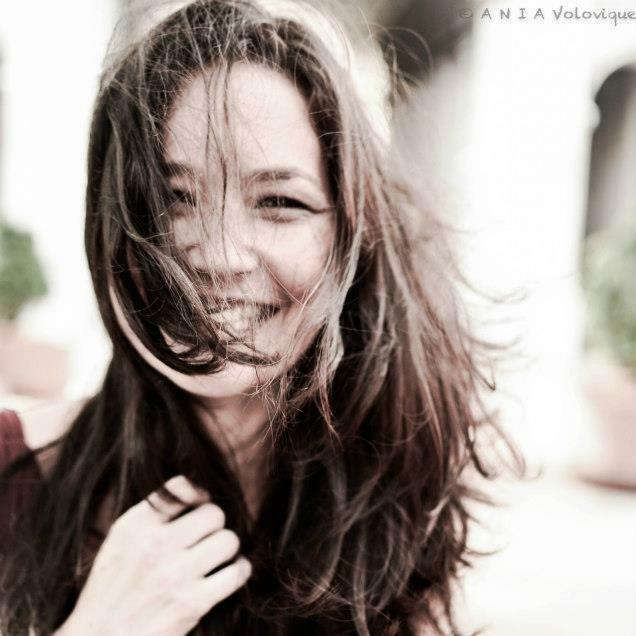 I realize that maybe that takes away from my cred as a reader, but hey, you like what you like right? Yes, I like some of the storylines but typically any retelling or the like of his work (unless in movie format) doesn't really pique my interest a lot. SO why was I so excited to read this? Because I've heard a zillion things about Nesbo so I wanted to check him out for myself AND because I found the drug lord/gambling/craziness interpretation appealing. This read fairly slow for me. It took me quite a bit to get into it. At first, I thought it was just my mood at the time so I set it down and then picked it up again. It did get better the further I got in but it never really compelled me like other books have. There's no doubt Nesbo is a talented writer. And while my memories of Macbeth from high school/college came back as I was reading this... I was fairly just ok throughout my entire read. Nesbo has amazing attention to detail and sets up the atmosphere in a beautiful way. I think most people will probably love this - especially if they have a love for Shakespeare. I haven't read the Shakespearean play in probably a decade, so I know the basics of the story, just not crystal clear on all of the specifics. 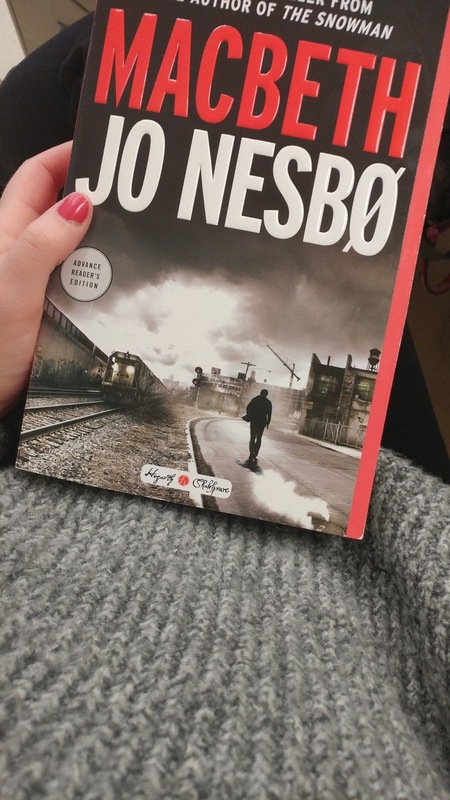 Jo Nesbo is also an author that I have been meaning to get to - those TBRs just make it so hard - and I was excited to finally have the opportunity to prioritize him. 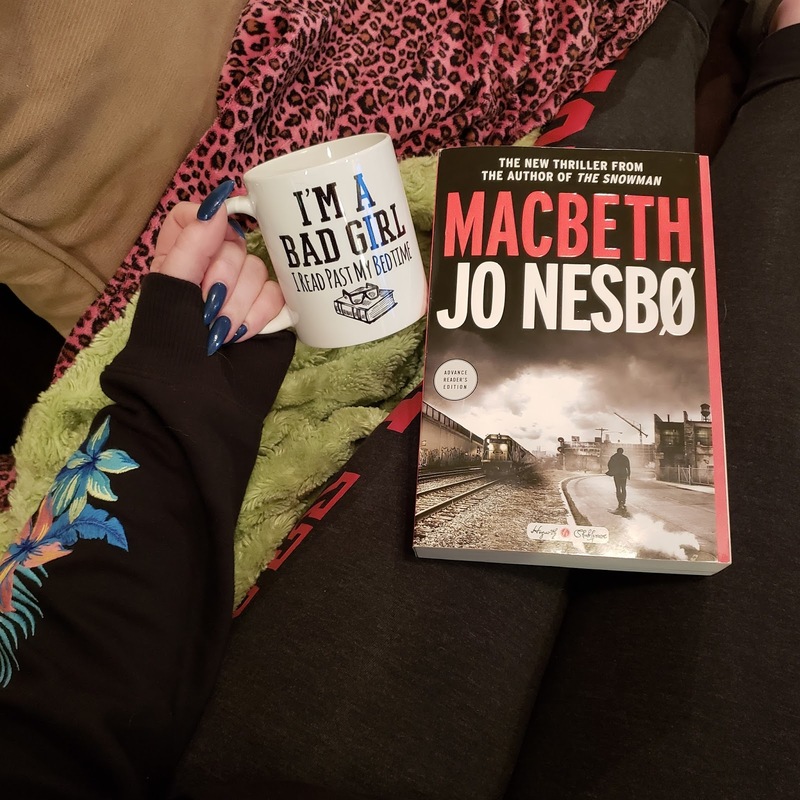 MACBETH is a great one to start with because it is a standalone, so it's a solid chance to get familiar with his writing. This is definitely a re-imaging of MACBETH, so the plot is there, it just has a crime fiction twist to it. Nesbo knows how to set the scene. His descriptions and attention to detail pull you into that spot and keeps you there. The character development was incredible and you become invested in them as the story goes on. While this does look like a dense read, it moved at a fairly good pace. Shakespeare isn't for everyone, and I think this would be a good way to introduce new readers to MACBETH. 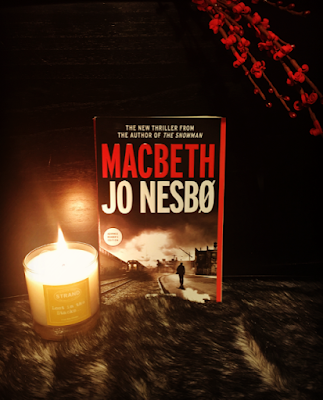 If you're a fan of MACBETH or Jo Nesbo, then you'll have to pick this one up! Like my other CJS reads counterparts, I too have had the Harry Hole collection by Jo Nesbo on my shelf for YEARS and have never picked one up. I have always felt like I needed to carve out a significant amount of time to be able to binge them and opportunity hasn’t presented itself. 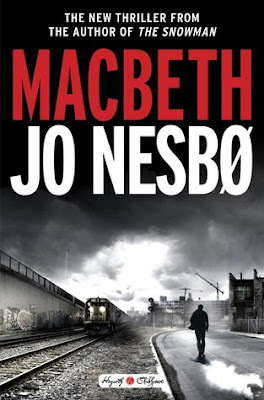 Which is why I was so excited when I found out that Jo Nesbo would be taking a crack at a retelling of Macbeth. Macbeth is actually my favourite text to teach. I love the betrayal, the guilt and the toxic masculinity. So, I felt like I was killing two birds with one stone; reading an author I had been dying to read AND perhaps gain another perspective and teaching tool when teaching this work. I have been a big fan of other novels in the Hogarth Shakespeare collection (and am eagerly anticipating the Hamlet portrayal by Gillian Flynn- AH!) but now that I have finished Macbeth, my feelings are completely mixed. I really did love the angle that Nesbo chose to portray these characters. I thought the idea of setting the characters up as corrupted cops and high level organized crime members was FANTASTIC. I especially loved the role the witches as a major mob boss and “cracked out” prostitutes; what a brilliant move. I also loved the way that drugs played a role; it really did make the text more modern and more easily understood. I loved how dark the portrayal was. Nesbo did a fantastic job at bringing Shakespeare into the modern times (even though this novel is set in the 1970s). However, regardless of the characterization, I cannot deny that it was so SLOW. Not only is this a hefty and dense novel but it also moved at glacier speed. For someone who was familiar with the play, I was hoping he move more swiftly through the plot. Instead, I found it completely drawn out and, at times, distracting. I continuously checked to see how many pages I had left to read each chapter, since it seemed to be dragging on, and it would take me right out of the story. Was it well written? Absolutely. Was it for me? I’m not too sure.